It is common for waterways to be obstructed by fallen trees or tree limbs. 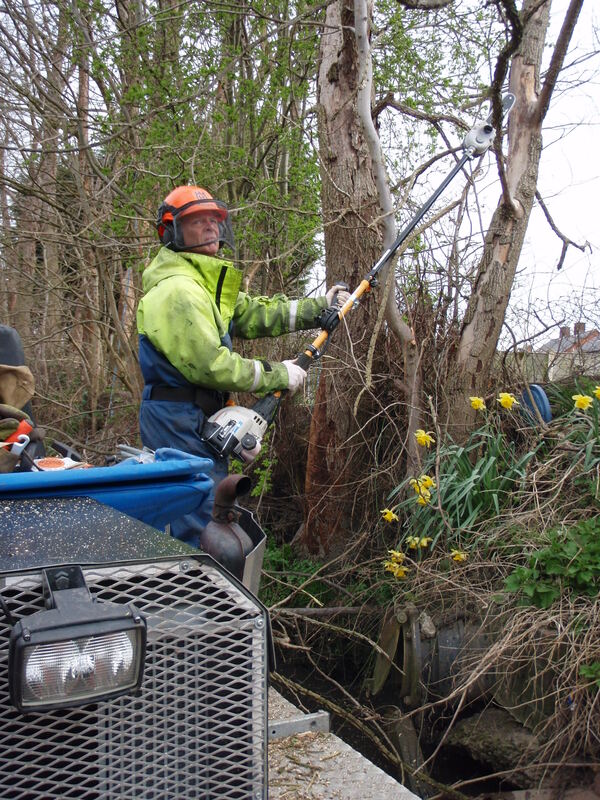 Removal of these obstructions is made easy by the Truxors log grab or grip bucket, assisting Aquaclears certificated chainsaw operators. 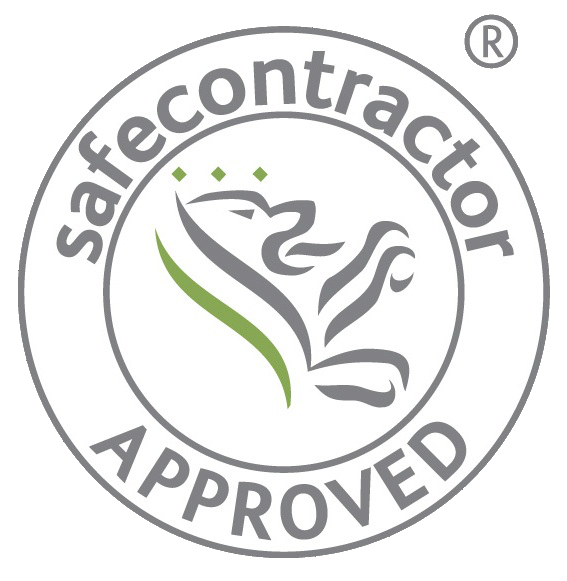 We are commonly asked to do tree work alongside other works. For example, a lake or canal may have become heavily conjested with aquatic plant growth, while the surrounding area is suffering from excessive tree growth. 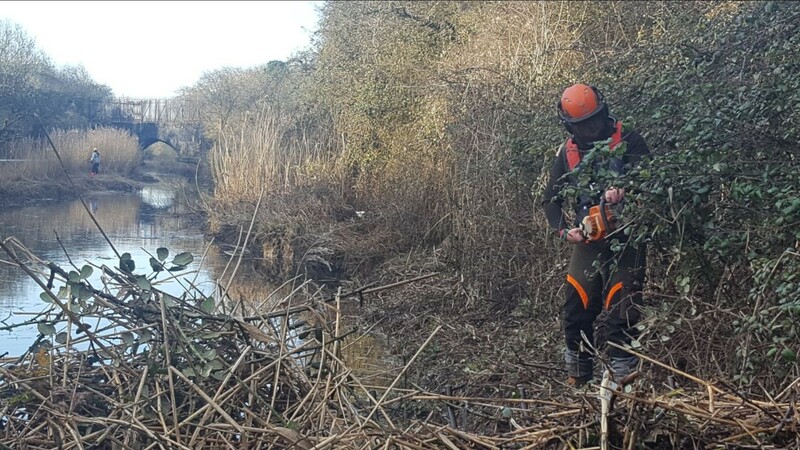 Our Teams can either work seperately or the Truxor can assist our chainsaw operators by retrieving hard to reach debris and ferrying any cut timber across watercourses, to desired locations. 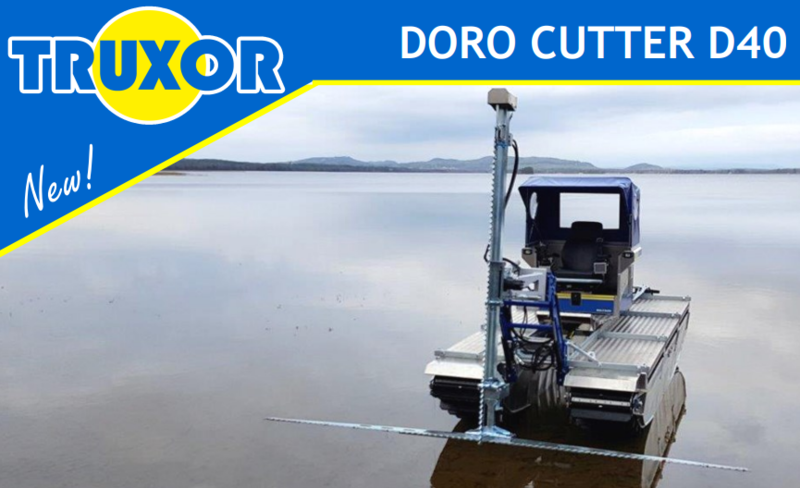 The Truxor also makes it easy to reach places that tree teams would normally find very difficult on foot.